n May 2019, over sixty Placitas artists will open their doors and welcome guests to the fascinating spaces where the artwork takes shape. 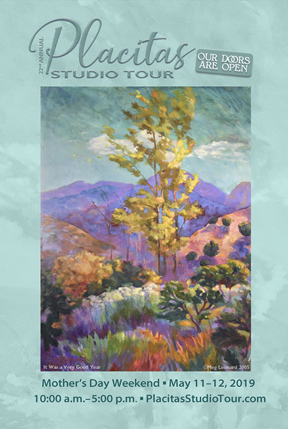 Come explore the many unique artist studios in the rolling foothills of the northern Sandias. Meet and talk directly with the artists about their work, their inspiration, and their latest creations. The tour offers a wide array of new arts and crafts at the studio locations, including painting, sculpture, glass, jewelry, gourd art, mixed media and much more. 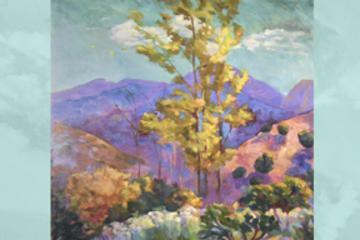 Placitas is located in the Sandia Mountains off I-25 between Albuquerque and Santa Fe. From I-25, take Exit #242 and turn east on Highway 165 to Placitas. Follow the colorful signs to each studio.